Williams, B. A., Shelat, K., Hanan, J., Dhital, S. and Gidley, M. J. (2011). An in vitro technique to model digestive behavior of feeds containing soluble fibers. In: 12th International Symposium on Digestive Physiology in Pigs, Keystone, CO, United States, (130-131). 29 May - 1 June 2012. Hasjim, Jovin, Li, Enpeng and Dhital, Sushil (2011). Effects of milling processes on starch digestibility of rice flours. In: American Association of Cereal Chemists (AACC) International Conference, Palm Springs, CA, United States, (). 16-19 October 2011. Hasjim, Jovin, Li, Enpeng and Dhital, Sushil (2011). Molecular degradation is not the precondition for increased starch solubility of rice flour. In: 61st Australian Cereal Chemistry Conference, Coolongatta, NSW, Austra, (). 4-8 September 2011. Hasjim, Jovin, Li, Enpeng and Dhital, Sushil (2011). Relationship between starch structures in rice flours and solubility of starch molecules in water. In: American Association of Cereal Chemists International, Palm Springs, California, USA, (). October 2011. Hasjim, Jovin, Li, Enpeng and Dhital, Sushil (2011). The roles of starch structure in the digestibility of cooked rice flour. In: 61st Australian Cereal Chemistry Conference, Coolongatta, NSW, Australia, (). 4-8 September 2011. 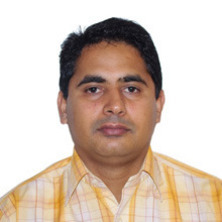 Sushil Dhital (2011). Particle Size Affects the Physicochemical Properties and In Vitro Digestibility of Starch Granules PhD Thesis, School of Agriculture and Food Sciences, The University of Queensland.